Donald Trump campaigning at an immigration policy speech at the Phoenix Convention Center in Phoenix, Arizona. From board rooms to drilling rigs, much of the U.S. fossil fuel industry has been counting down the days until President Barack Obama turns over the keys of the White House. 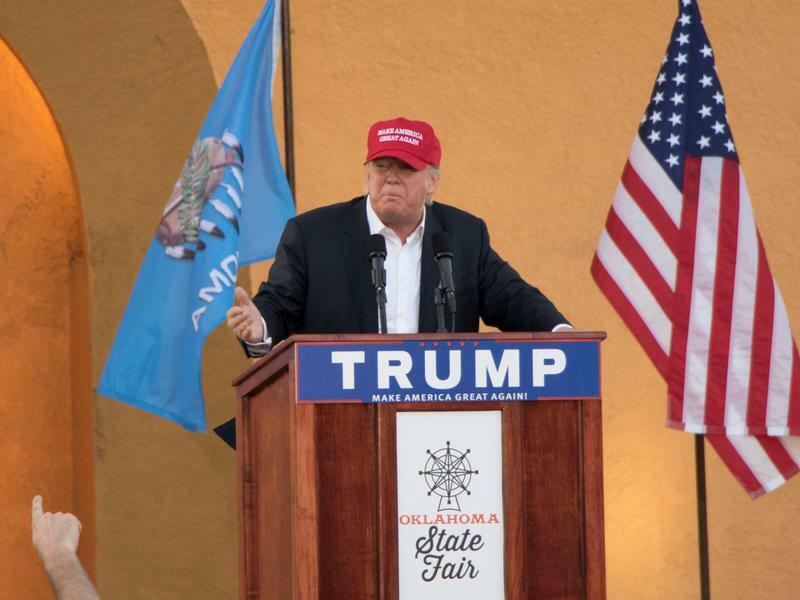 Donald Trump doesn’t officially take the wheel of the nation’s energy policy for a couple of months, but Oklahoma’s oil and gas industry says its prospects have already improved under the president-elect. 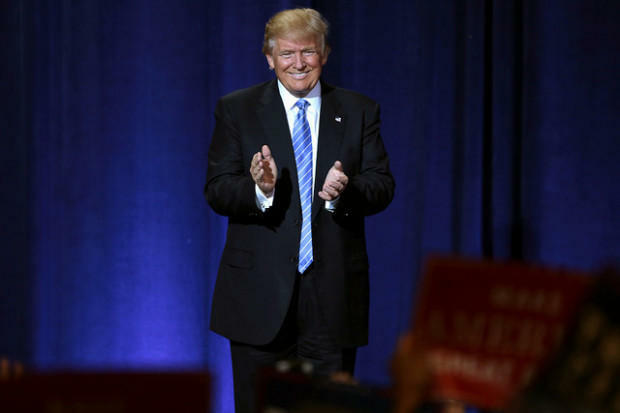 On the campaign trail, Trump wooed energy state voters and industry leaders. He promised to restore coal mining jobs in West Virginia and to clear regulatory hurdles for oil and natural gas producers in North Dakota. 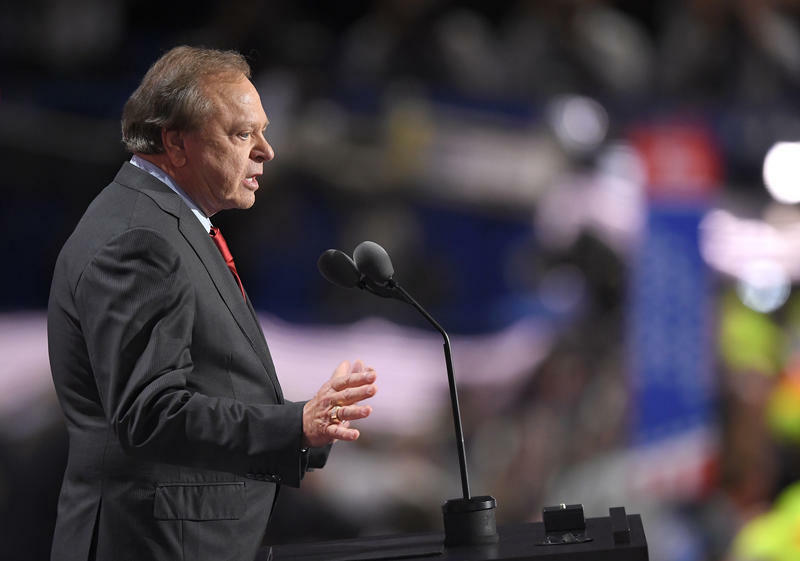 Trump has rubbed shoulders with and sought advice from Oklahoma energy executives like billionaire Harold Hamm of Continental Resources and promised to be a big friend to fossil fuel. Panther Energy CEO Berry Mullennix says those gestures — even if they are lofty campaign promises — are already a 180-degree turn from attitudes in the Obama administration. “What we’ve seen happen over the last five or six years is an onslaught of regulations that the industry right or wrong feels have been put in place to help put the industry out of business,” Mullennix says. 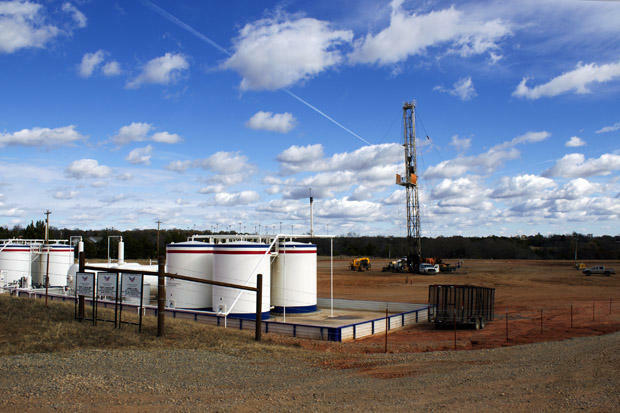 Oklahoma Oil & Gas Association President Chad Warmington says Panther Energy is on a long list of Oklahoma oil and gas firms eager for a post-Obama federal government. Warmington says Oklahoma energy companies are cautiously optimistic about their outlook under Trump. RT Dukes, a research director at energy consulting firm Wood Mackenzie, doesn’t see Obama as a foe of fossil fuel. But he does agree: The energy industry is welcoming Trump’s embrace, and attitude means something when it comes to energy markets. “I’m not sure that it changes concrete things but it maybe gives people more confidence to invest — that’s positive for people investing in Oklahoma, people investing in Texas,” he says. Trump will have a hard time unwinding all of Obama’s environmental regulations, Dukes says, noting that a lot will be determined by who the president-elect names to key cabinet positions overseeing the U.S. Environmental Protection Agency, and departments of Interior and Energy. Duke says Trump likely could soften the blow of the Clean Power Plan and methane regulations. And the president-elect could have a big hand in tax and pipeline policy, opening federal lands to drilling and inking international agreements with countries to trade oil and gas. Dukes says today, presidents have a bigger effect on the U.S. fossil fuel industry because U.S. oil and gas companies are playing a larger role in world energy markets. That’s due to the industry itself, and its runaway success in unlocking petroleum with horizontal drilling and fracking. Dukes says much of that boom happened under President Obama’s watch. Presidents do have a meaningful effect on the fossil fuel industry, he says, but nothing — even the White House — moves the needle like the value oil and natural gas itself. “It’s prices, prices, prices,” Dukes says.